Pull out your starter (for details on making your first starter, see this post. You can also look up other recipes rather than buying the e-book. 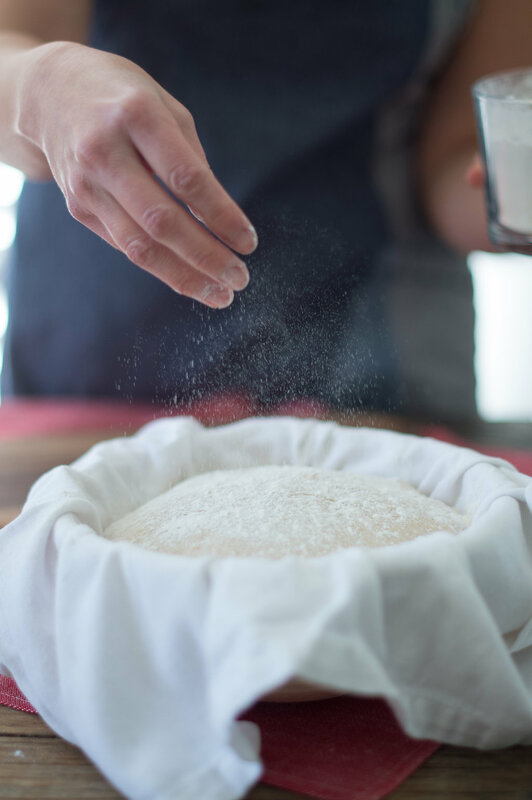 The most important thing to remember is that it’s almost if not completely impossible to make start from all-purpose flour. Rye works best.) and digital scale to make the levain. In a clean 16 oz wide mouth mason jar, place 10 grams starter, 45 grams spring water, and 45 grams flour. Mark the level with tape or a rubber band. Mix and allow to double overnight. It will be ready to use in 9-12 hours. Pour 775 grams spring water into a large bowl. Add 80g of levain to the water. 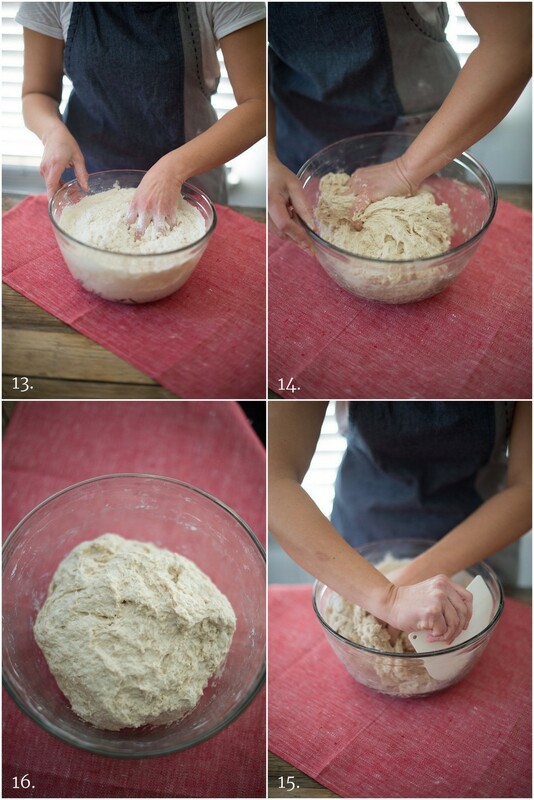 Mix with dough whisk, then add 200 grams whole wheat flour, 300 grams all-purpose flour. Add an additional 500 grams of flour and 20 grams of salt and mix with your hands at this stage. Mix well, making sure there are no dry clumps of flour. Note: The temperature of your water in relation to your ambient room temperature is important. In the wintertime, it’s helpful to use warmer water (around 70 degrees) and in the hottest months, ice water would be appropriate. Cover bowl with cling wrap and set aside for 9 hours. Step 4. After 9 hours has elapsed, the dough will have risen. Now it’s time to shape it. 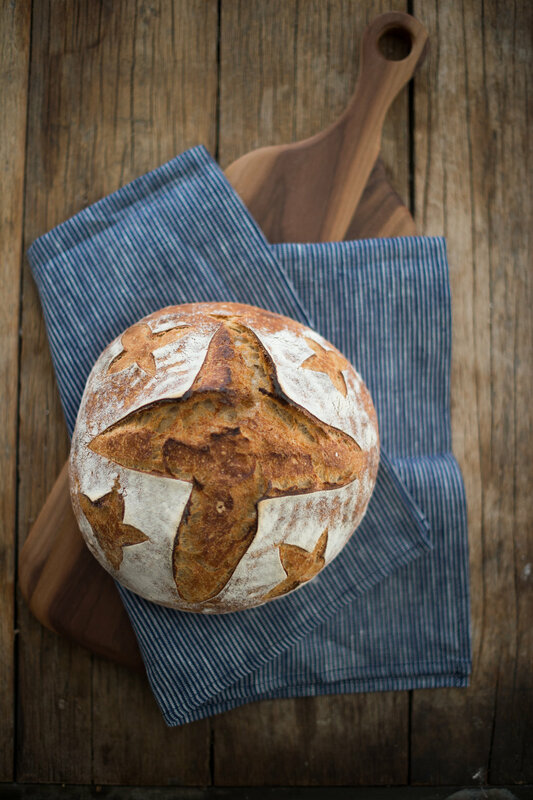 Prepare brotform by using a mixture of 50/50 flour and white rice flour. 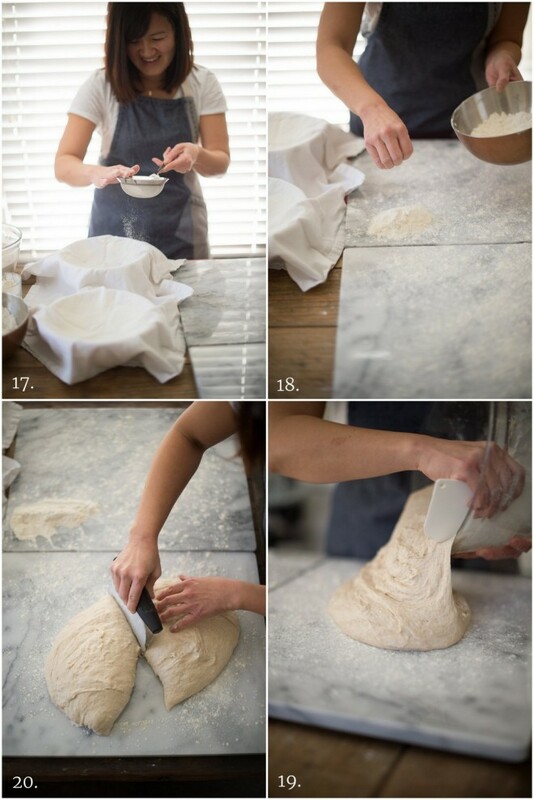 Dust the brotform with flour. 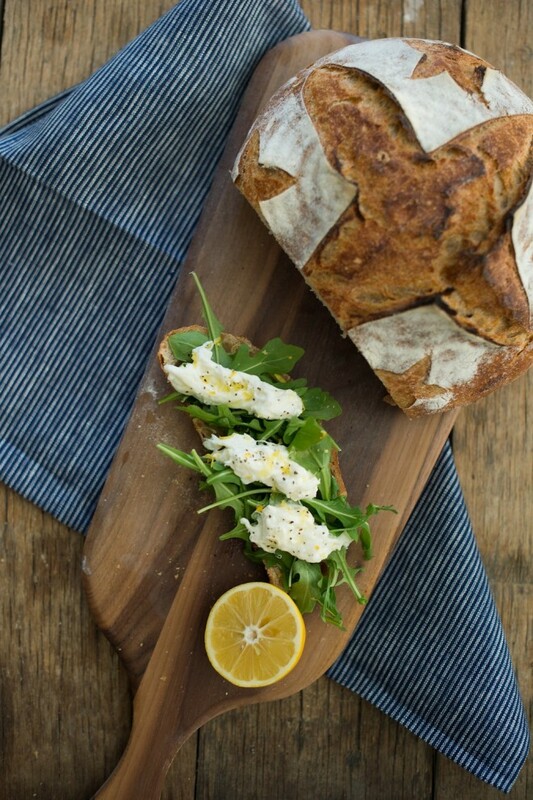 If you don’t have a brotform, you can use a basket lined with a dishtowel. 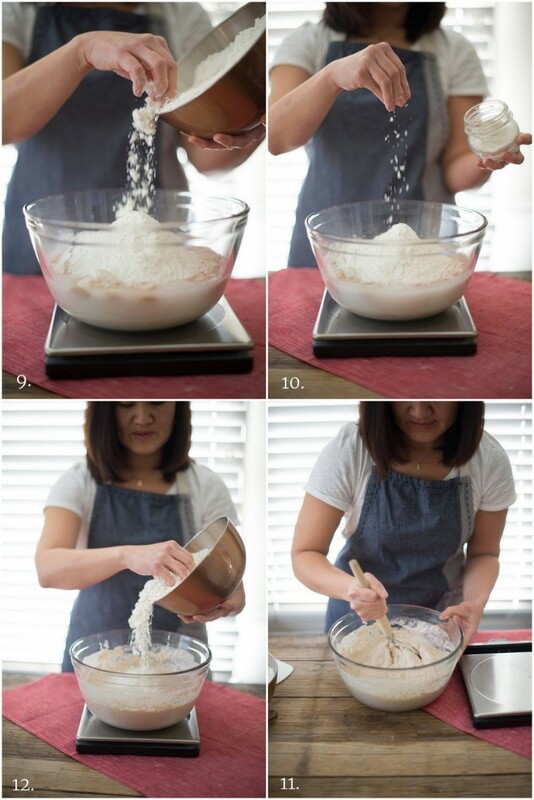 Dust the dishtowel with flour. Don’t skimp on the flour or your loaves will become difficult to remove at bake time. Step 5. 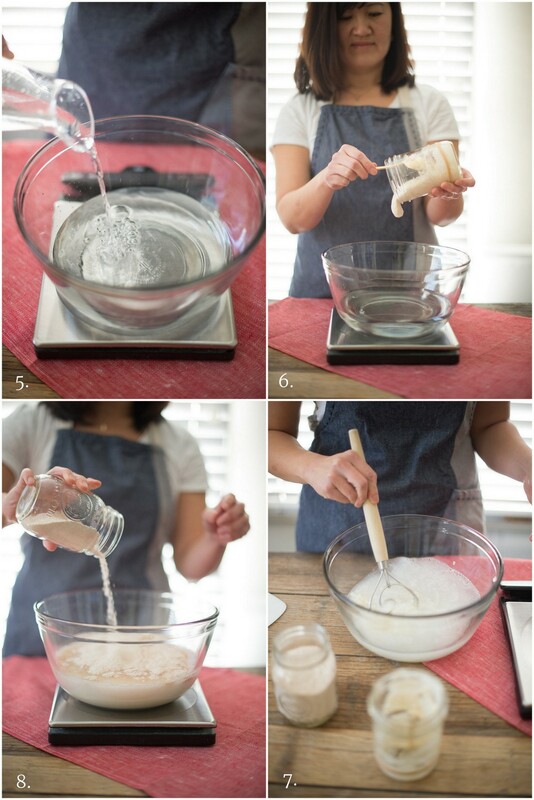 On a well floured surface, transfer the dough from the mixing bowl with your plastic scraper. Using your bench knife or scraper, divide in half. Step 6. 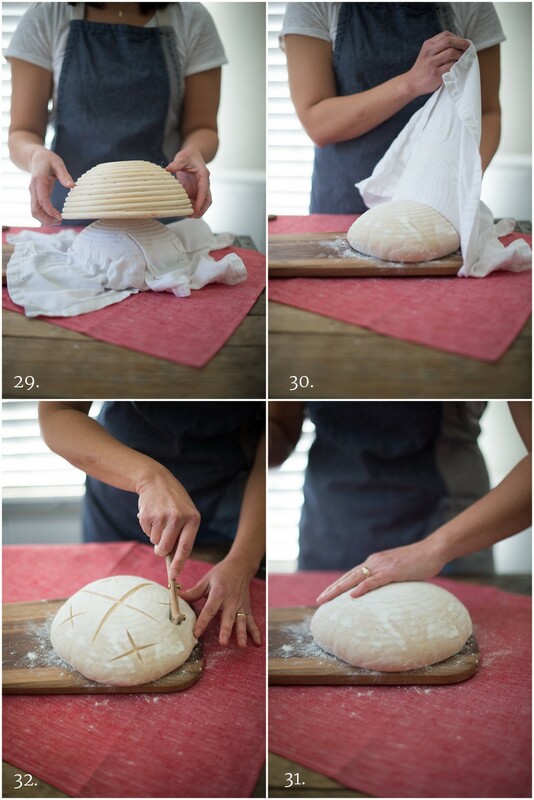 Take one half and shape it into a ball or a boule. 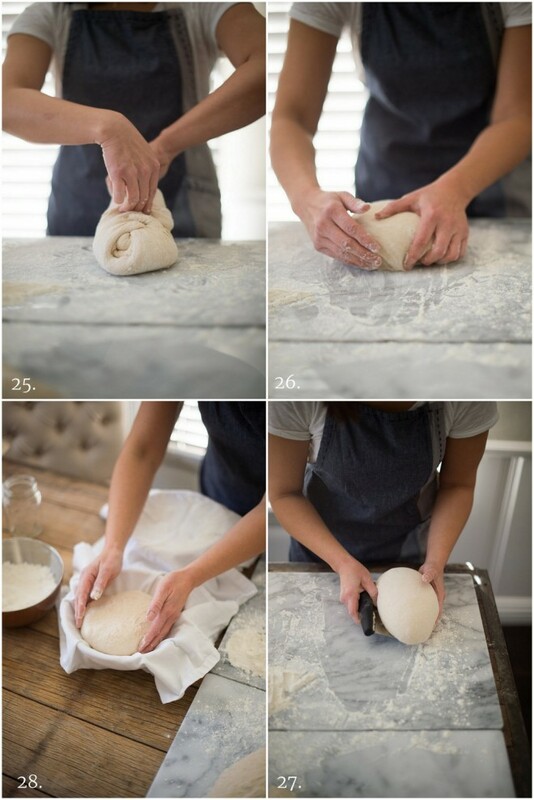 To shape your dough into a boule, you will do a series of folds: bottom to top, top to bottom, left to right and right to left, before flipping over and shaping into a round. 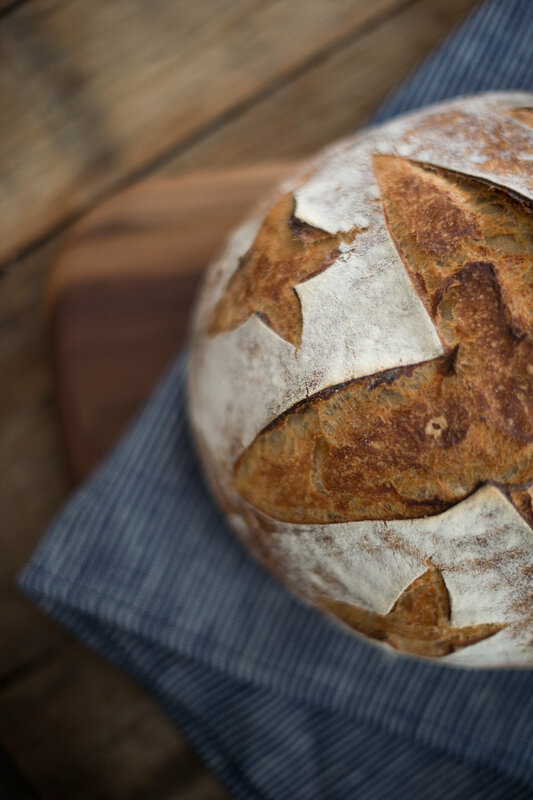 You will be using your heel to gently push away from you and your fingers to gently pull towards you to create tension across the top of the loaf. 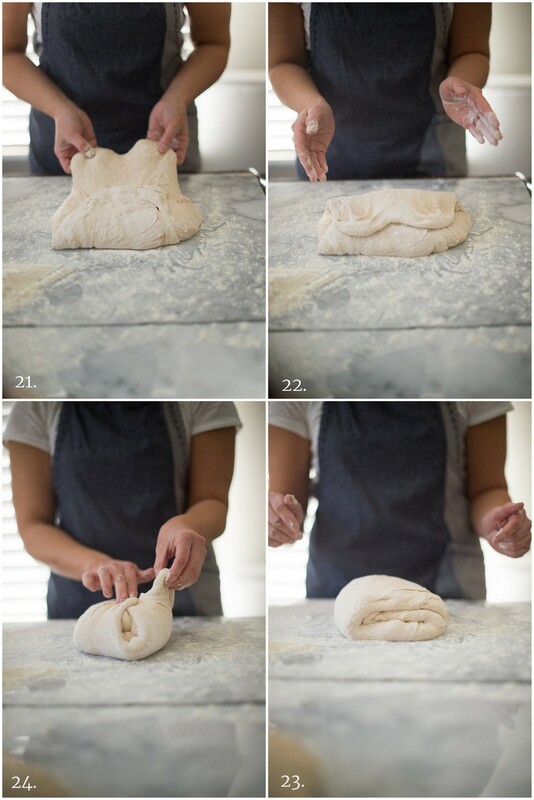 Do this a few times, until nice and taut, but do not overdo it and cause the top of the dough to start to tear. Gather ball and place upside down in brotform (seam side up). Step 7. (The Final Rise) Cover with towel, tucking in the corners gently and place in refrigerator overnight. Step 8. The next morning you are ready to bake! Set your pots in a cold oven. Pull out your loaves and let sit on your kitchen counter. Preheat oven to 500ºF with your pot inside. 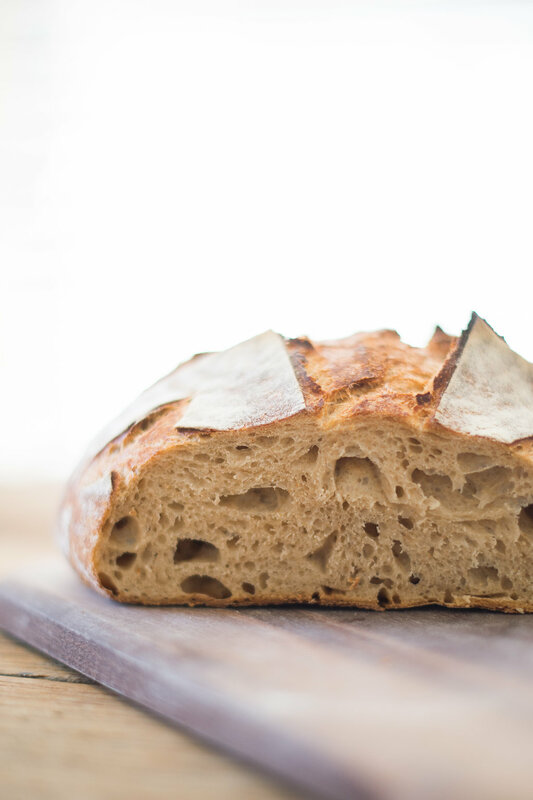 Once oven thermometer reaches 500ºF (this can take 45-60 min), you can remove your loaf from the brotform. Lightly dust top (which is actually the bottom) with rice flour mixture. Flip loaf out onto a small board. You can now score the top with a razor or lame, if desired. Carefully remove hot pot from the oven and then slide loaf into the pot. Cover with lid and place in oven. Once loaf is in, reduce temperature to 450ºF and bake for 25 minutes. After 25 minutes remove lid. Cook for 8-12 minutes more until desired color is reached. You can also test for temperature with an instant read thermometer. 190º-210ºF is fully cooked. 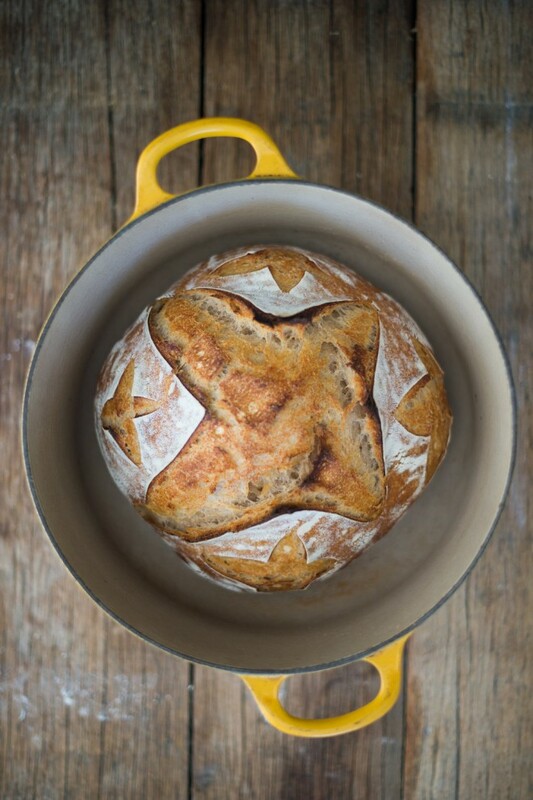 Remove from pot and allow the bread to cool for at least one hour. 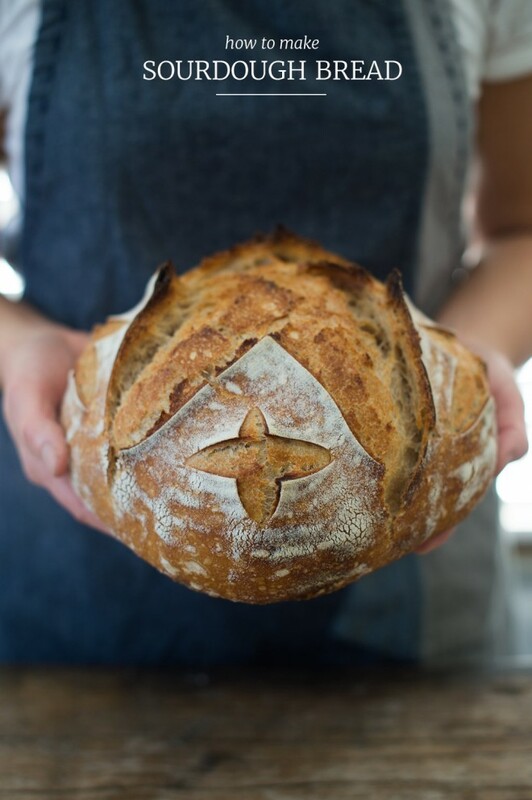 The bread will continue to bake. 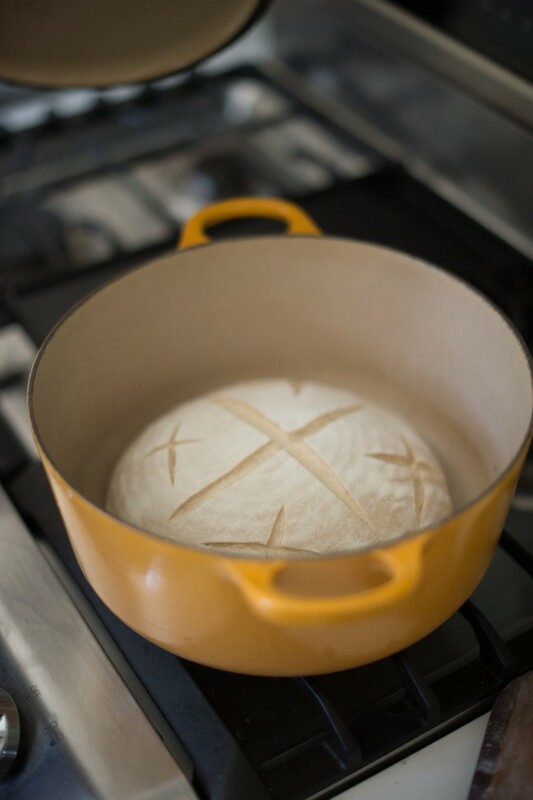 If you only have one dutch oven, you will return your pot to the hot oven and raise the temperature back up to 500º and let it heat up for 15 minutes before repeating the process. Keep the second loaf in the refrigerator until the start of baking the first one. Note: since all ovens vary, you will definitely want to purchase an inexpensive oven thermometer to make sure that your oven temperature is consistent and accurate. I made my first loaves of bread without assistance from Min the morning of Christmas Eve. I had asked her before she left how long they would last on the countertop for since they are obviously free of any added preservatives. She replied, “5-7 days but mine usually don’t last that long.” She was right! We used the bread for toast in the morning, open faced sandwiches for lunch and along side soup or salad with dinner. 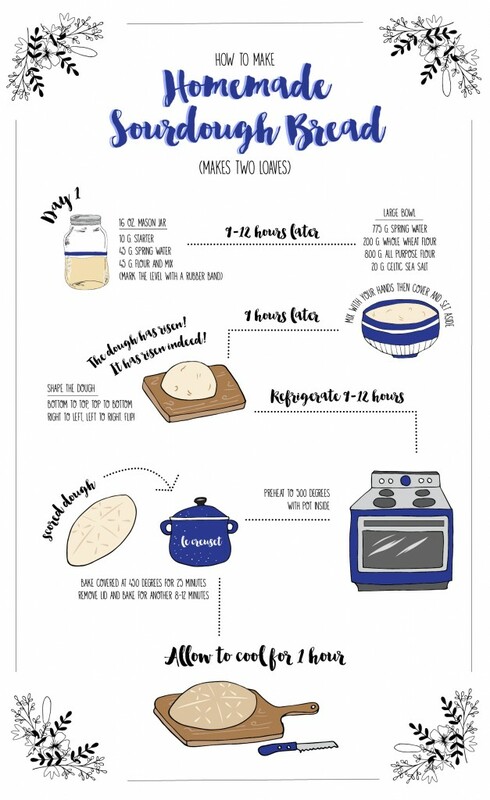 We shared the second loaf with friends over bowls of butternut squash soup on Christmas Day and just like that I found myself ready to make my next batch by the 27th! 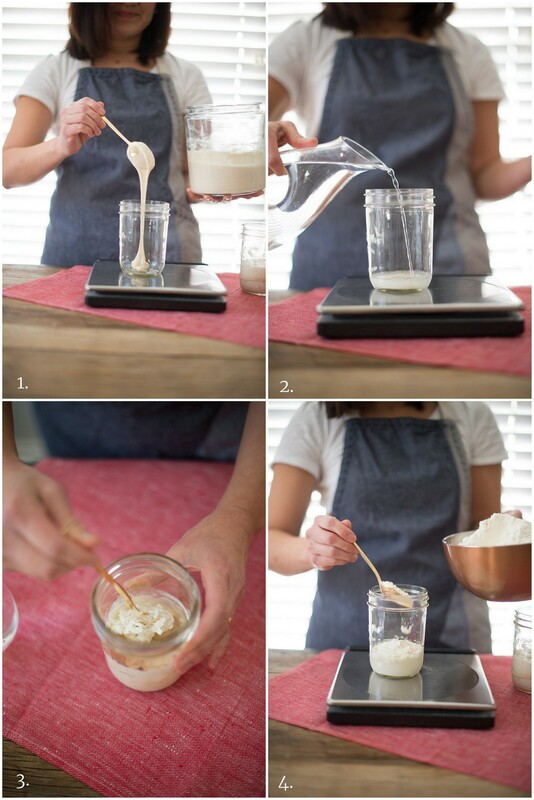 I’m also ready to start experimenting with different flavors– adding honey or rosemary and olive oil. Min also swears by the waffles you can make with this dough! 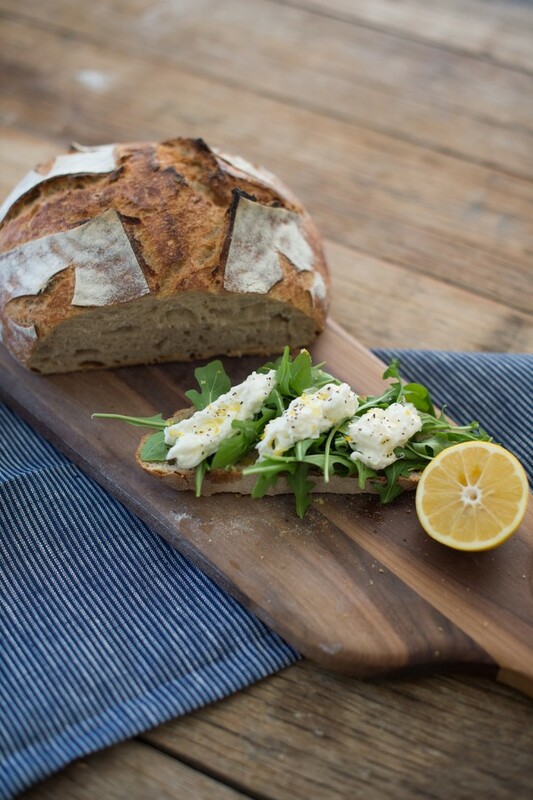 For more ideas and recipes from Min, be sure to download her e-book, Min’s Sourdough Bread! 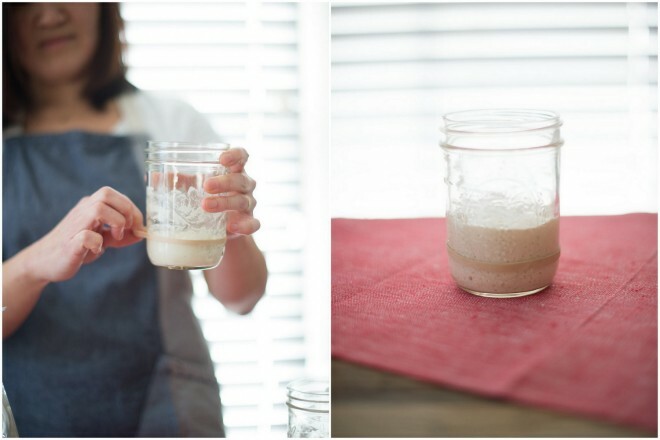 I know this feels like a lot of steps and there are a handful of specialized materials that you may not have, but the process is truly so simple and easy and so incredibly gratifying (and delicious!). Here’s to a happy, healthy and not gluten-free new year! I love food related posts. Definitely wanna give this a try. Let me know if you try it ! It’s become such a wonderful part of our weekly routine! Wow! That’s so beautiful! Looks delicious too! Where did you get your starter ?